UEFA and FIFA will act if allegations of financial impropriety made against Manchester City prove accurate, according to manager Pep Guardiola. The reigning Premier League champions entertain rivals Manchester United at the Etihad Stadium on Sunday, having scored six times in each of their home games against Southampton and Shakhtar Donetsk over the past week. Events away from the field have proved potentially more problematic. German magazine Der Spiegel made a number of claims against City in a series of four articles, which are based on documents purportedly attained from whistleblowers Football Leaks. Der Spiegel's reporting claims Sheikh Mansour's City regime have topped up multi-million-pound sponsorship deals with Abu Dhabi companies, using their owner's fortune, in order to meet UEFA's Financial Fair Play (FFP) stipulations. Last Friday, when the latest round of Football Leaks stories emerged with allegations that City were cut a favourable FFP settlement when they were punished for overspending by UEFA in 2014, the club declined to comment on "out of context materials purportedly hacked or stolen from City Football Group and Manchester City" and claimed "the attempt to damage the club's reputation is organised and clear". 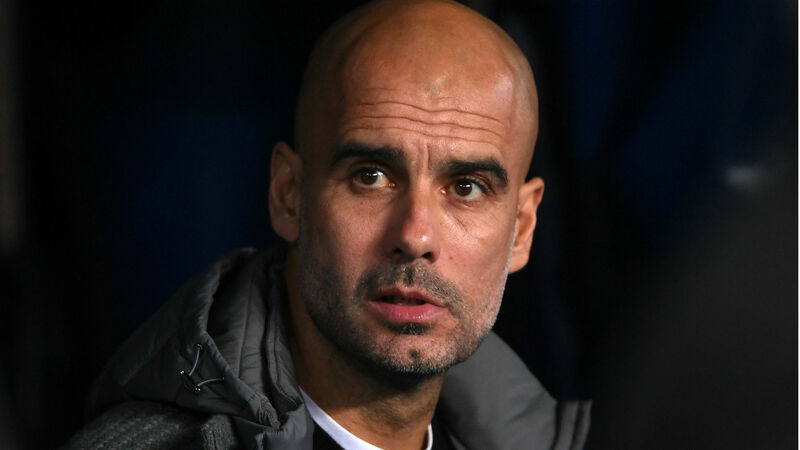 It was a topic of discussion for the City boss before the Shakhtar game, and Football Leaks was again on the agenda at Guardiola's Friday news conference. "If they want to undermine what we have done, no problem," the former Barcelona and Bayern Munich boss said when asked whether his achievements at City would now be tarnished in the eyes of some observers. "We [the City squad] live our lives and our process and what we are doing - it stays in our hearts for the rest of our lives. "After that, opinions are opinion. I trust a lot the club and I know the people [in charge]. If there's something wrong, we'll be punished. FIFA or UEFA have to say if we were wrong. "If we were wrong, we accept it. But I hear what my club said to me and I trust them a lot as well." The boss knows how important the #ManchesterDerby is to the fans, but plays down its importance to the early make-up of the league table. Another strand of the Football Leaks allegations related to major European clubs, including City being earmarked for a breakaway "super league". Bayern Munich were identified as key drivers behind the idea – something the Bundesliga club and their chairman Karl-Heinz Rummenigge have strenuously denied. Guardiola, a LaLiga, Bundesliga and Premier League winner as a coach, still believes Europe's domestic divisions have considerable value. "I don't have an opinion on that [the super league reports]," he added. "I would like to know the ideas but for me local competitions, Premier League and LaLiga, are so important. "We cannot deny the local leagues and their history but I don't know, I don't know the idea."